-Ray Liotta is in a crapload of straight-to-DVD movies. I found Breathless, Street Kings 2, The River Murders and Powder Blue today. For one thing, before we got those movies, I had never heard of them. For another thing, that's a bad thing. But come on, this is Ray Liotta we're talking about. He's the guy in Goodfellas. And Goodfellas was awesome. I'm hoping that Killing Them Softly means he's getting back on track, but then again, he is keeping straight-to-DVD movies alive. I should be grateful to these guys, though. People always rent their films, so in a way, they're keeping our video store going. -Speaking of actors who are in a lot of films, I love how three of Jessica Chastain's films start with T, so I could put them all together on the new to weekly shelf. -I've been getting especially nostalgic over cleaning shelves lately. Mainly because this year has gone so fast and I'm looking at movies that came out in April and going "how is this off the new release wall?!" But then I realise that April was like, six months ago. Still, I could pick up any movie in that shop and have a certain memory attached to them. Apart from the adult room selection, of course. -Mind you, The Last Station, which came out on October 20, 2010, is still on the new release wall. Which makes me LOL. It hasn't rented in the past six months, either. But somehow, it just passes by unnoticed. I'm going to have a mini party if it makes it through the next wall change. -There's a trailer for The Deep Blue Sea, which has Tom Hiddleston in it. And we all know how much I love Hiddles. -I can always try and impersonate Michael Fassbender saying "big things have small beginnings" at the end of the Prometheus trailer. -There's no trailer for The Dark Knight Rises. There should be, because it comes out next month. But instead, they decided to give the obligatory next month slots to Ted and Snow White and the Huntsman. -I used to think this trailer for Prometheus was really cool, but that beeping noise thing has really got on my nerves, now. -There's a trailer for That's My Boy. Which features Adam Sandler putting on an extremely annoying voice. Considering I just watched the entire film, that trailer is going to annoy me even more. -The What to Expect When You're Expecting trailer starts off by saying "having a baby can be a real mother". Oh hahaha, where did you get that pun? 1001 Cool Puns? Just no. -There's a trailer for Dark Shadows every 45 minutes. That trailer is actually awful. Well at least I have Lana Del Rey to keep me company. So there's a page from the diary of your average video store girl. Got any thoughts on trailers, Ray Liotta or other actors playing dress-ups? A mate of mine DESPISES Ray Liotta. I don't go that far, but I'm not a fan either. I would probably have liked Goodfellas had it been more about Robert De Niro's character, who actually did more interesting stuff. 50 Cent couldn't even play himself convincingly in Get Rich or Die Tryin'. 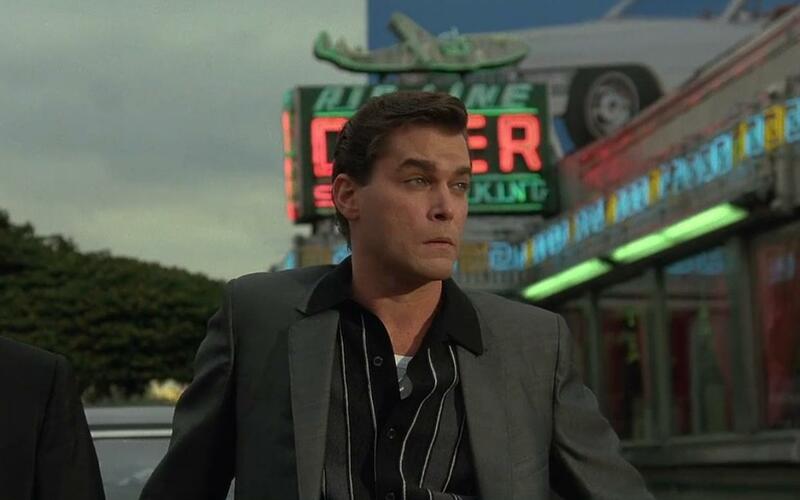 I liked Liotta in Goodfellas, but he has a really strange face. Like...it just doesn't make sense. I worked at a video-store for a half a year and then it was closed down, by now, most of the rentals are gone and buying DVD's is a part of a bookstore now. Anyway, I loved the job because I got free posters - 500 Days of Summer is still on my wall at home, waiting above my computer chair. Sorry about the bad trailers, at least when I was at this job we were allowed to watch actual movies. What I found out, you can't really watch your favorites because clients keep interrupting you and you will get tired of pausing it. So I watched countless of times She's the Man which is horrible yet the best for such a job. I remember more or less each line from the movie now. Yah, I love the free posters, too! I have ten in my room. They're all beautiful. We used to be able to watch full movies, so I would always put on Hairspray so I could sing along to it. But then we got forced to have the trailer disc. And hey, She's the Man isn't *that* bad. Haha. Love this post. Seriously, Cuba Gooding Jr. has got to have the worst Oscar curse ever. Of course, Ray Liotta's career hasn't panned out either. Cuba Gooding Jr...ah, it is so hard to believe he won an Oscar! Stevee, whatever you do, do not watch Street Kings 2. 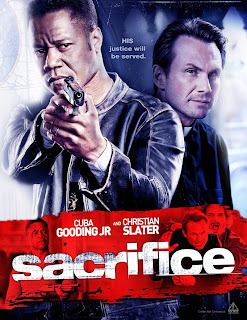 That is one terrible movie, despite some efforts by Liotta to try and do something with it. I will never ever watch it. Nor will I watch the first one! "Having a baby can be a real mother?!?" Seriously, that's the best they could come up with? Ick. If you wanted to be really cruel, you could recommend that the expectant moms who rent that movie also go home with We Need to Talk About Kevin. :-P Nope, you'd never be that cruel. It is fantastic to watch all of these movies for free, even if I get crap all money. If I had another job, then all of my money would be going to that shop! Gosh, that would have been creepy! Our video store is run by girls (I think there's only been like, two men who have worked there in the past five years), so there's none of that going on!